Red Ribbon Entertainment Pvt Ltd organized a music launch which was attended and had everyone glued to music. 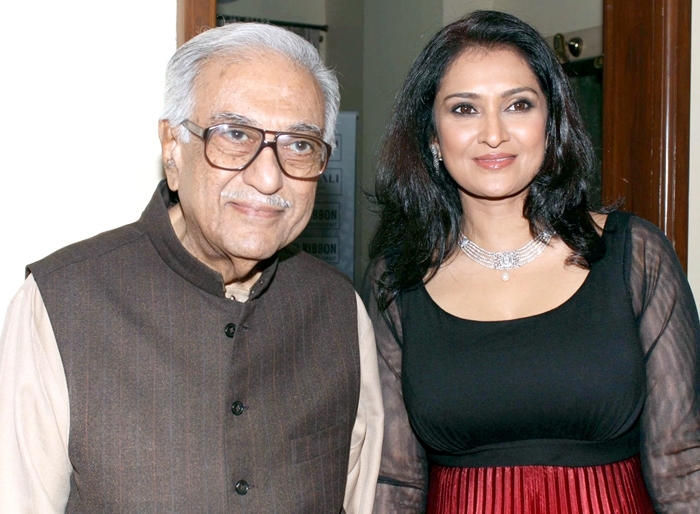 The first to arrive was Sadhana Sargam who was seen bonding and discussing with Ameen Sayani about his voice and her songs. Padma Bhusan Ustaad Gulam Mustafa walked with his son which held everyone in gasping. Lalitya Munshaw sang a song from her melodious album “Pehli Nazar” for Jeetendra. While Vinod Rathod and Mohd Vakil, Was discussing the latest trend of music that is happening in the industry. Actress of Chargesheet movie Devshi Khanduri was seen discussing Dev Sahab with Aadam. Shadab Faridi and Mohammad Vakil were seen enjoying the music. The music and singers were very scintillating. And everyone was seen enjoying overall music and singer rules the heart of the people.